Vinyl comes with a free digital download of the album. 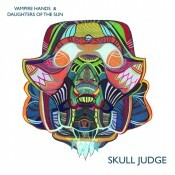 Pressing of 500 This is a split 12″ between bands Vampire Hands and Daughters of the Sun. Artwork painted by Lisa Luck.